A mother-of-three has told of her decade-long stalker hell at the hands of a stranger who bombarded her with 40 phone calls a day, sent inappropriate messages and forced her to stop wearing high heels so she could run away from him. Lorraine Mitchell, 54, says she now fears for her life and her children after hearing Sherzad Salih – who was jailed for four years – is set for release from prison. 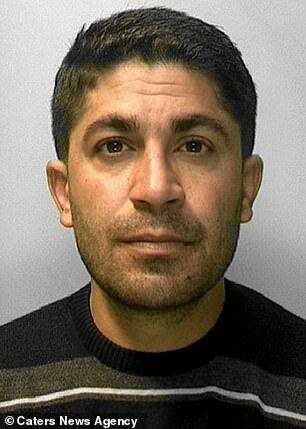 Salih, 38, first approached Ms Mitchell in a car park as she left her office in St Leonards, Sussex. He asked her for a date, told her he knew everything about her and said he had been ‘watching her for two years’ in a chilling case with echoes to Netflix’s hit stalker drama YOU. In the show, lead character Joe Goldberg uses social media to manipulate student Guinevere Beck into falling in love him. 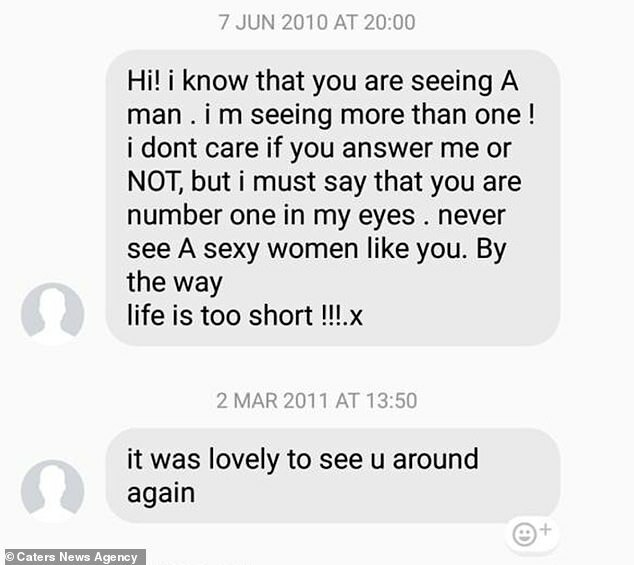 Salih spent a decade following Ms Mitchell everywhere, before stalking her through Facebook when she signed up to the social media site in 2009. 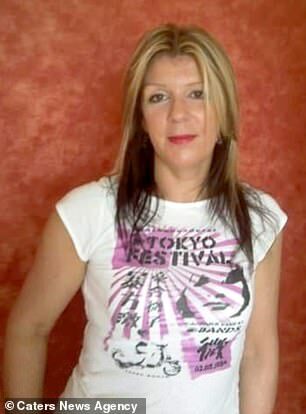 She also believes he was behind the killing of her cat, which was decapitated and left under a neighbour’s car, although this has never been proved. Ms Mitchell claims she was forced to stop wearing her beloved high heels so she could run away from him if she needed to. She even stopped leaving her house to go shopping or walk her dog as her stalker was always sitting in his car outside her home. Salih was jailed for four years at Hove Crown Court in October 2017 after he pleaded guilty to stalking Ms Mitchell but is now set to be released this year. Ms Mitchell, from East Sussex, is frightened he will begin his reign of terror again. She said: ‘I had finished work and I was in the car park, I had just got into my car when somebody knocked on my window. ‘I thought he might need directions, but he asked me on a date. 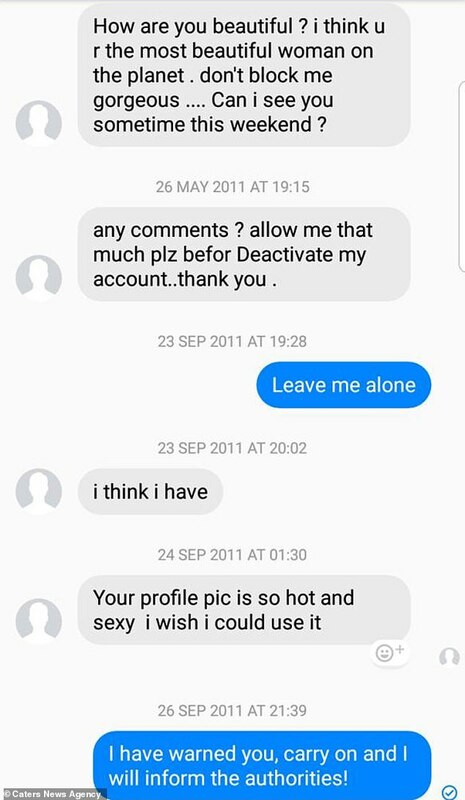 I thought it was a joke, I was 42 at the time and he looked in his mid-twenties. Terrified Ms Mitchell ran home to call the police but despite them turning up quickly they were not able to do much as she only had a brief description of Salih. They advised her to keep a diary but she claims over the next several years stalking escalated – leaving her terrified. Ms Mitchell, who even discovered her cat decapitated outside her house, gave her kids her passwords to all her online accounts, in case something happened to show the evidence to the police. Despite reporting incidents to the police, eventually Ms Mitchell took a picture of her stalker’s number plate and took it to the police but claims she was still told nothing could be done. It was only when Salih, originally from Iran, was convicted in October 2017 Ms Mitchell found out he had 23 previous convictions. She also received an apology from Sussex Police after complaining about the way her case was dealt with. She said: ‘He was calling me saying he was watching me getting ready and asking about my underwear. ‘When I hung up he would keep calling, calling me 30 to 40 times an hour. ‘At one point, my cat was killed and placed underneath my neighbour’s car tires. ‘He was sending me inappropriate messages all the time, he was following me at the supermarket, he would sit in his car outside my house. ‘I was terrified. I was carrying a red alarm with me at all times and I became afraid to go out – I stopped wearing high heels and I was diagnosed with post-traumatic stress disorder. ‘I couldn’t sleep, I would get up in the middle of the night and check if the doors were locked. ‘One of the main things I stopped doing was taking my dog for walks on my own. ‘I avoided walking on the seafront, as that is where he chased me in his car – I love walking my dog on the seafront now. ‘I also avoided shopping in the supermarkets, where he would be waiting for me. 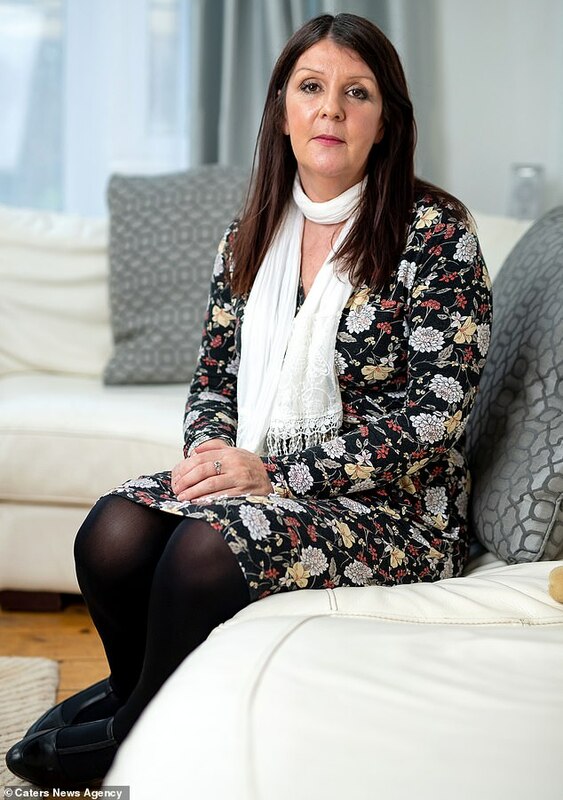 Since Salih’s conviction, Ms Mitchell has found peace through support group Veritas and has been helping with police training about stalking – with changes to the law made last year. But she is worried when the Iranian, who has a lifetime restraining order against her but a history of breaching them, is released from prison later this year the stalking may start again. She said: ‘The thing with stalking is that it’s not one big thing – the police were looking at each incident as isolated events. ‘But with stalking its about the bigger picture – on their own each event may seem unremarkable, but when you put them all together it’s a totally different picture. ‘I am not a drama queen, I wasn’t overreacting as many people told me, this man turned my life upside down. ‘Even though he is in prison, the memory of being stalked never leaves you and I stay vigilant. ‘Right now I have a restraining order but I am worried he might go after my daughter. A spokesman for Sussex Police said: ‘After the case we asked Lorraine to help this force and others to better understand stalking behaviours from a victim’s perspective. 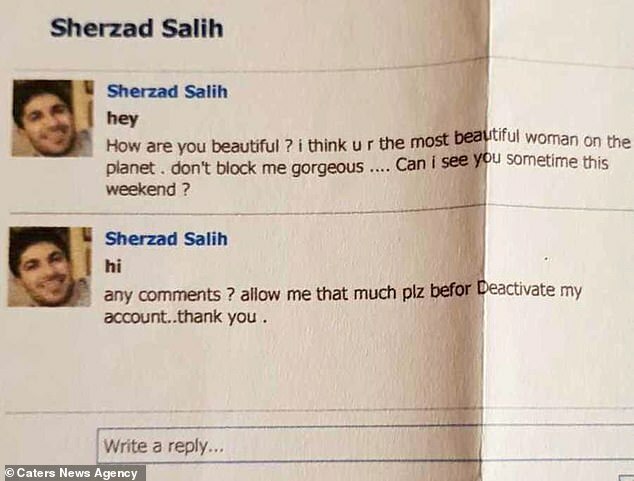 PC Jenna Boyd, from the force, added: ‘This woman has endured a gradually escalating campaign of systematic stalking by Salih. ‘The experience left her terrified for the safety of both herself and her family. ‘Although Salih did not overtly threaten her or attempt any physical attack, his actions have had a significant emotional impact on her, and we are glad that the court has reflected this in the sentence.